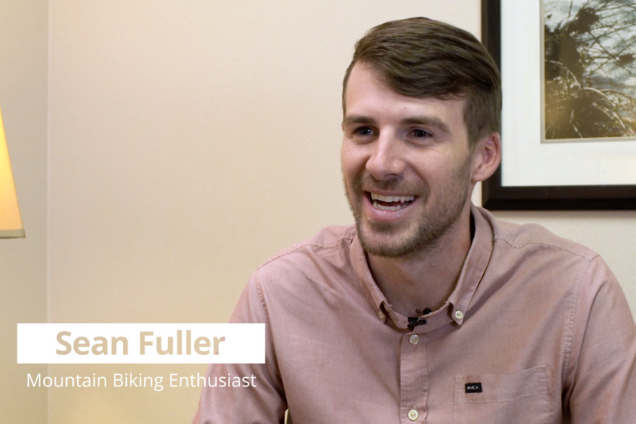 Sean Fuller is a self-proclaimed mountain biking enthusiast. He started in the sport after moving to Fayetteville about six years ago. One day, when out biking with friends, Sean attempted a jump and it didn’t go quite as planned. He suffered serious injuries, which included a separated shoulder and breaking both of his hands. After undergoing four successful surgeries at Ozark, Sean is now back to mountain biking! — although, he admits to being more cautious.